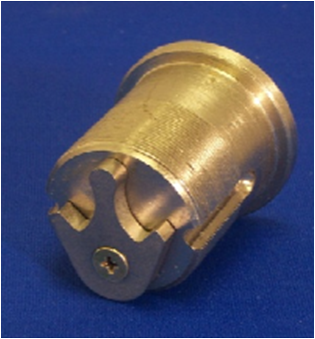 The B520-698 cam was designed for a Schlage IC mortise cylinder (see Figure 1) to operate a Falcon MA lock, all functions except the MA381. There is no Schlage cylinder option for the Falcon MA381. This B520-698 Product Bulletin was released to announce the availability.